Let’s Talk Reading is a voluntary project that aims to eradicate low literacy in Ipswich by 2025 by supporting communication and reading for children and adults. It works in conjunction with early years providers, schools and community organisations. Let’s Talk Reading supports parents who are struggling to read to become more confident in talking and reading with their children and to improve their own literacy skills. A child without good reading, writing and communication skills can’t succeed at school, and as an adult they could be locked out of the job market. One person in six in the UK struggles to read. These low literacy skills impact on every area of their life. Around 15% of adults in England would not pass an English GCSE and have literacy levels at or below those expected of an 11-year-old. Nearly half of these people are unable to read safety signs and instructions on medicines. Reading for pleasure is more important for children’s development and achievements in life than their background. Parents and carers who are confident readers are more likely to help children become confident and enthusiastic readers themselves. 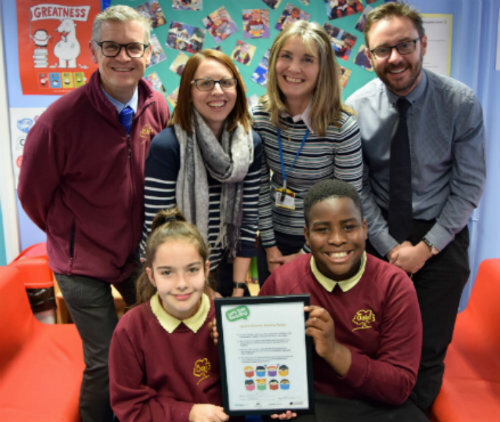 Let’s Talk Reading is a voluntary project funded through through grants from Ipswich Borough Council and other sources including the Suffolk County Council’s Raising the Bar Project in its first year. It consists of a part-time paid co-ordinator and a small number of volunteers. It has been based at Suffolk Libraries since it launch in summer 2016, but aims to become an independent charity later in 2018. After a very successful start, it is expanding the scope of its activities. For more information on Let’s Talk Reading, call 07763 702267, email ltr@suffolklibraries.co.uk or visit the Let’s Talk Reading Facebook Page.